Most women do not have an accurate understanding of their breast cancer risk – a finding that has important implications for prevention and early detection, as well as psychological well-being, according to a survey of nearly 10,000 women undergoing mammography screening. When asked to estimate their lifetime personal breast cancer risk, just 9.4% of the women gave a value that was within 10% of their actual calculated risk, according to data reported in a press briefing held in advance of the breast cancer symposium sponsored by the American Society of Clinical Oncology, where the study will be presented in full. In the study, the investigators surveyed 9,873 women aged 35-70 years who were about to undergo screening at 21 Long Island mammography centers. The anonymous questionnaire included many questions adapted from the National Cancer Institute’s Breast Cancer Risk Assessment Tool, which is available online and typically used by physicians. The women’s subjective estimate of risk was compared with their risk as calculated with the tool. Their estimate was considered inaccurate if it differed from their calculated risk by more than 10%. Most of the women were at average calculated risk, with 35% having a 5%-10% lifetime risk and 40% having a 10%-15% lifetime risk. Just 9.4% of the women, however, accurately estimated their risk, while 46% overestimated their risk and 45% underestimated their risk. The predominant direction of estimation error varied by race/ethnicity. Of the white women, 10% accurately estimated their risk, 39% underestimated, and 51% overestimated their risk. 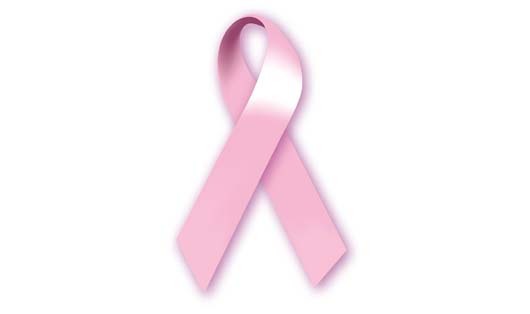 Women of other ethnicities were more likely to underestimate their breast cancer risks. Just 9% of African American women were in line with their risk, with 58% underestimating and 34% overestimating. Asian women had similar assessments. Hispanic women’s inaccurate assessments were more balanced, with 50% underestimating and 41% overestimating risk. Although these differences were statistically significant, it is more important to note that the overall level of understanding was very low, Dr. Herman said. Ideally, patients should learn of their breast cancer risk from their physician, he said, but the study data told another story. “All of these women were about to have mammography, so they obviously had some interest in their breast health,” but when asked when they last spoke to their doctor about their personal breast cancer risk, “we were shocked to find that 40% of women said they never ever had a conversation with a health care provider,” he reported. The findings suggest a need to improve communication about risk by primary care providers, especially as the U.S. Preventive Services Task Force is now putting greater emphasis on informed decision making, Dr. Herman acknowledged.